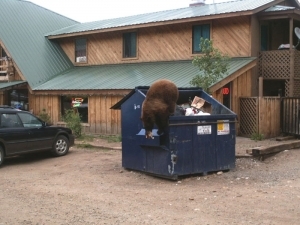 Considering the remarkable sense of smell of bears, restaurants, fast food locales, lodging facilities, apartment and condominium complexes, mobile parks and other business establishments need to be extra vigilant and inventive in their care of trash, grease and food refuse disposal. 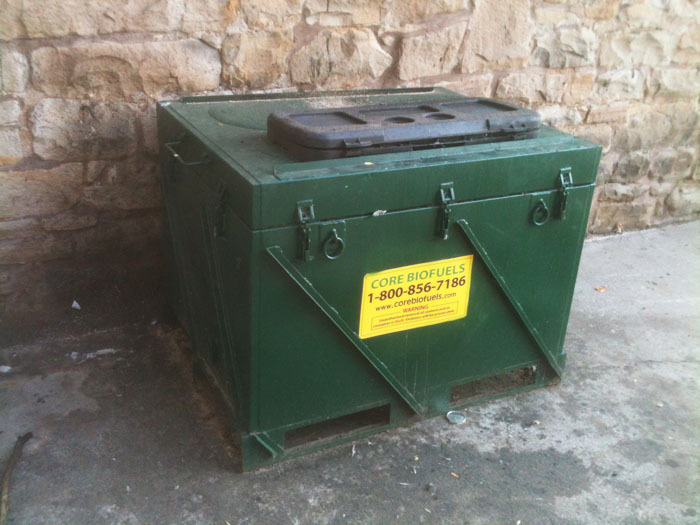 Talk to your waste or grease hauler about modifying or replacing your containers to make them bear-resistant or locate someone who can make the necessary updates. 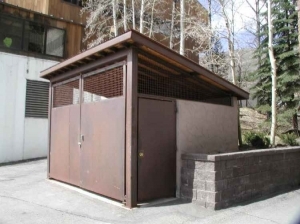 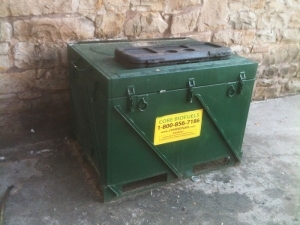 Modifications can include replacing grease barrels with grease containment systems, replacing plastic dumpster lids for metal ones with latching mechanisms or metal chains with carabiners to prevent bears from opening lids. Or consider bear-resistant enclosures which, in essence, house unsecured grease containers or non-bear-resistant trash containers. Enclosures can be difficult to add to preexisting locations, due to parking requirements, and are best included during planning stages.